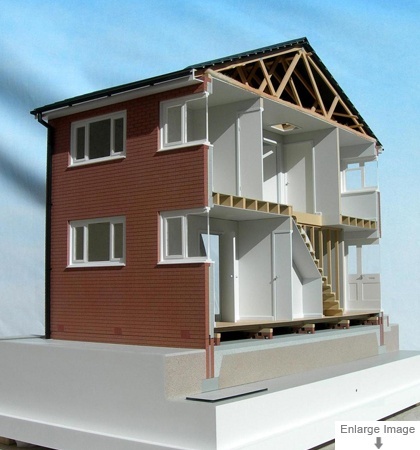 Commissioned as a teaching aid, this cut away model was designed to illustrate typical construction techniques in a standard domestic building. The client’s aim was that the model could be used instead of site visits to clarify some fairly basic methods of construction. The model included details such as wall ties, staircase construction, and even roofing materials.